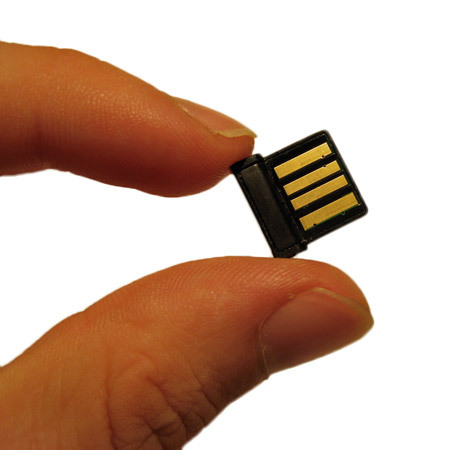 The world's smalled USB Bluetooth dongle. This product also comes with additional software. Really easy to use and solved my problem of getting photos from my mobile straight away. Following months of searching for a bluetooth dongle that works with Windows 7 including a dongle I bought which I was assured would work with W7 but didn't, I finally found the Atomic Pico Bluetooth Dongle from Mobile Fun which DOES work with Windows7. Great price, quick delivery, can't be beaten. Well done Mobile Fun! 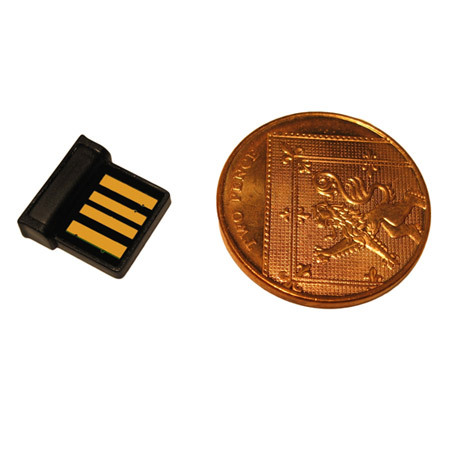 The Atomic Pico Bluetooth Dongle is without doubt the smallest bluetooth device in the world (yes it's even smaller than the nano dongle). 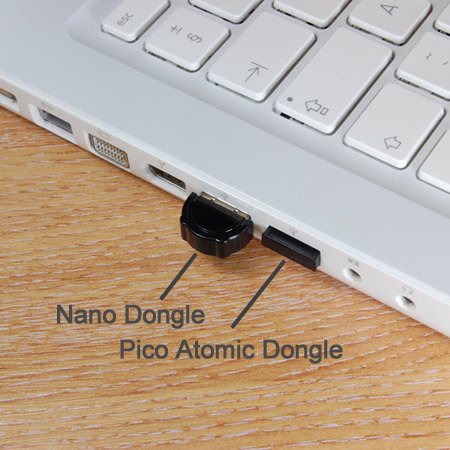 It's perfect for adding bluetooth wireless capabilities to a laptop or computer because it doesn't stick out, this means you'll never need to worry about it snapping off or damaging your computer. 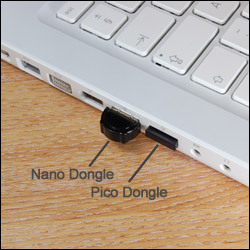 Once inserted the dongle will sit almost flush with the USB port, you could even leave it connected permanently. 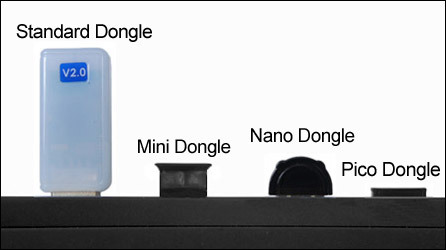 The Micro dongle enables you to connect many different bluetooth devices to your computer (multiple devices can be connected at the same time). 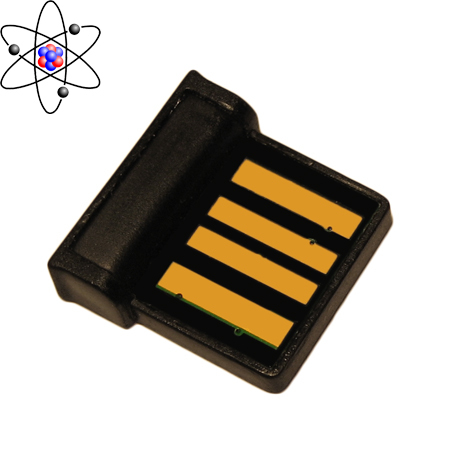 One of the most popular uses is to transfer photos, music or data between your computer and mobile phone. Other possibilities include connecting PDA's, bluetooth mice and keyboards, headsets, bluetooth speakers, GPS receivers, bluetooth printers and many more. 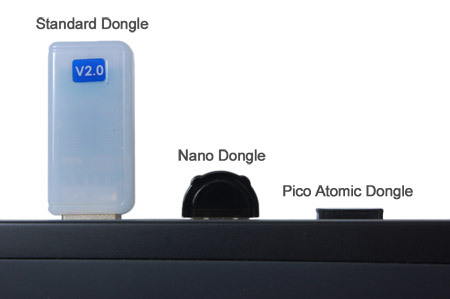 Why choose the Atomic Pico Bluetooth Dongle? * It's the smallest bluetooth dongle in the world! * Advanced technology: Bluetooth v2.0. * Faster Speeds (3 Mbits/s with new Bluetooth 2.0 + Enhanced Data Rate). * Supports secure pairing and encryption. * Supports A2DP (Advance Audio Distribution Profile) for high quality stereo. * Multiple connections - connect two or more Bluetooth devices at the same time. 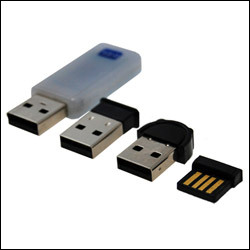 * Full compatibility with USB equipped computers, supporting both USB 1.1 & 2.0 standards. * Tested compatibility with Bluetooth enabled mobile phones, PDAs, headsets and other Bluetooth devices. * Backwards-compatible with older Bluetooth devices (versions 1.1 & 1.2). * Less interference with Wi-Fi networks. No drivers needed for basic operation. Plug 'n' Play support with Windows XP (Service Pack 2) and Vista. Optional FREE BlueSoliel software (full version) for advanced options.